Spare parts . : Engine, winches, blocks, ropes, electrical spares, engine spares etc. Almanacs, books : Many almanacs varying from Reeds and world cruising notes and passage making to ......................................storm atlas etc. Book topics: sailing and sail trim, navigation, astronavigation(course), .............. medical, lay-out and maintenance, engine maintenance, electronics, electricity, ...... heavy weather sailing, racing, meteorology, star navigation, etc. 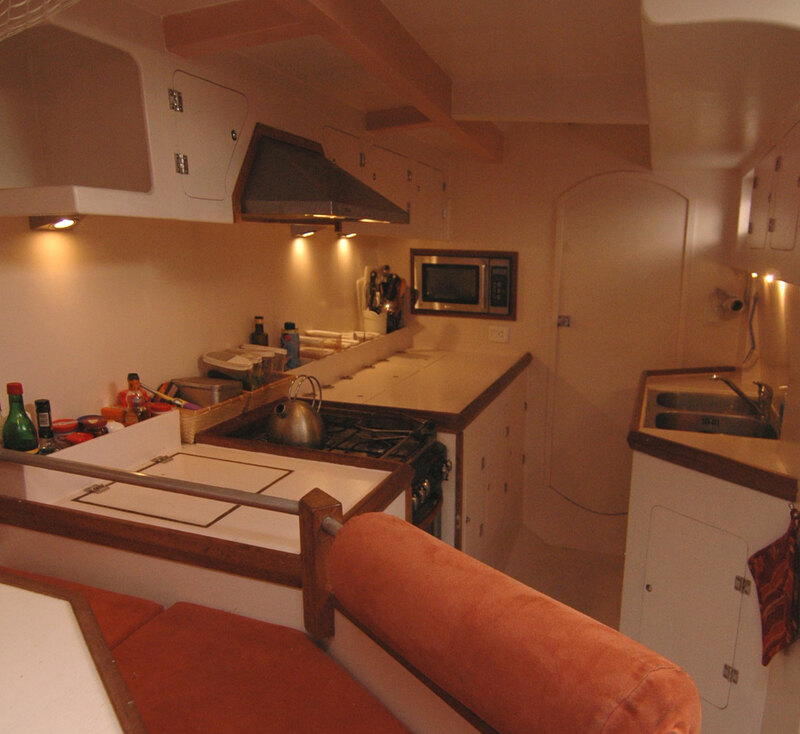 Bunks ... : 6, divided in 2x 2 and 2 bunks for skipper and co-skipper. Note: Pooh- To is a fast yacht, build for speed, ocean sailing and with an incredible sea performance. This is really sailing, not a gourmet cruise with wine and dine and Champaign. That – if you wish - is offered by restaurants and café’s you find on the stop-overs. The crew will be active during the entire trip: night watch, sail trim and sail changes, navigation, routing, meteorology, ship management, cooking, cleaning and above all: maintaining the speed and comfort and having a ball of a time!